Phillip & Rebecca Perkins are the Owners of SERVPRO of Marshall, Sedalia, and Columbia. In addition to owning the business for 25 years, Phil has the following certifications from the Institute of Inspection Cleaning and Restoration Certification (IICRC): Water Restoration Technician and Applied Structural Drying Technician. Other certifications include: Environmental Protection Agency (EPA) for Renovation, Repair, & Painting (RRP) Program for Lead Paint, 10 OSHA Hazard Recognition for the Construction Industry, and Employee Certification Training Program for Crew Training, Water, Fire, Carpet & Upholstery, and Subrogation. Brad Pistel is the Operations Manager at SERVPRO of Marshall, Sedalia, and Columbia. He has over 12 years of experience and has the following certification from the Institute of Inspection Cleaning and Restoration Certification (IICRC): Water Restoration Technician. In addition, he is certified in Employee Certification Training Program for Crew Training, Water, Fire, and Carpet & Upholstery. Lana Lear is a member of the Office Staff at SERVPRO of Marshall, Sedalia, and Columbia. She has over 23 years of experience and is certified in Employee Certification Training Program for Crew Training. 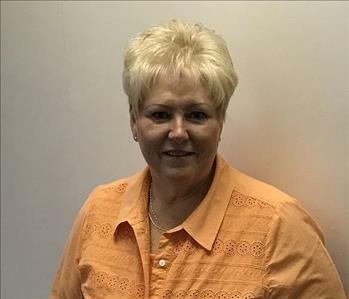 Rhonda Ryan is a member of the Office Staff at SERVPRO of Marshall, Sedalia, and Columbia. She joined our team in November 2018. 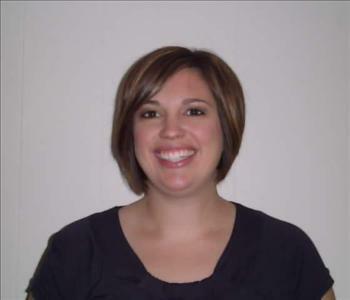 Abby Schroeder is the Accounting Manager at SERVPRO of Marshall, Sedalia, and Columbia. She has over 11 years of experience and has the following certifications from the Institute of Inspection Cleaning and Restoration Certification (IICRC): Water Restoration Technician and Applied Structural Drying Technician. In addition, she is certified in Employee Certification Training Program for Crew Training. 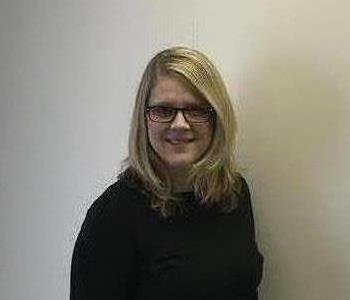 Anne Hisle is the Marketing Manager at SERVPRO of Marshall, Sedalia, and Columbia. Graduated from Missouri Valley College with a B.S. degree in Business Administration with concentrations in Marketing and Management. She has over 7 years of experience and has the following certifications from the Institute of Inspection Cleaning and Restoration Certification (IICRC): Water Restoration Technician and Applied Structural Drying Technician. Anne is also certified in Employee Certification Training Program for Crew Training, Fire, Water and Carpet & Upholstery and OSHA 10 Outreach Training Program - General Industry. In addition, she is FTP certified to teach continuing education classes. 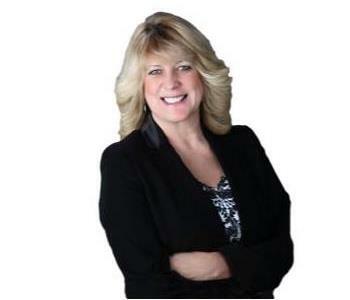 Debbie Branstetter is a Sales Marketing Representative at SERVPRO of Marshall, Sedalia and Columbia. She has over one year of experience with our company. She has her real estate license and property and casualty insurance license. Debbie owned a residential construction company and expanded the company to hardwood flooring specializing in residential and commercial jobs. Through her flooring company, Debbie experienced water damages in the residential and commercial markets. Scott Tucker is a Production Manager at SERVPRO of Marshall, Sedalia, and Columbia. 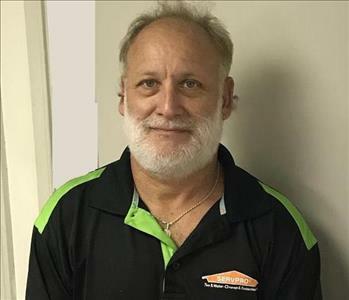 He has over 30 years of management and construction experience.Scott has over one year of experience with our company and has the following certification for from the Institute of Inspection Cleaning and Restoration Certification (IICRC): Water Restoration Technician and Applied Structural Drying Technician. In addition, he is OSHA-10 certified with numerous safety and customer service awards. 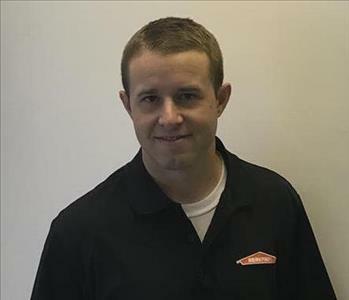 Kyle Herman is an Estimator and Project Manager at SERVPRO of Marshall, Sedalia, and Columbia. He studied at the University of Missouri and received a B.S. degree in Business Administration with an emphasis in finance. 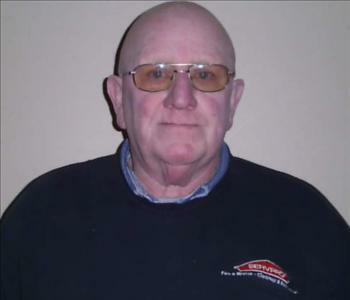 He has 7 years of experience in estimating in the fields of heavy diesel repair and residential roofing industry. In addition, he has 10 years of experience in project management. Kyle is certified from the Institute of Inspection Cleaning and Restoration Certification (IICRC): Water Restoration Technician. Brian Sulltrop is a Production Manager at SERVPRO of Marshall, Sedalia and Columbia. He has over 3 years of experience and has the following certification from the Institute of Inspection Cleaning and Restoration Certification (IICRC): Water Restoration Technician and Applied Structural Drying Technician. 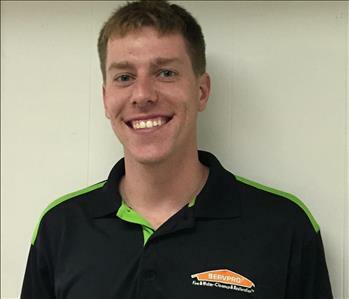 Phillip Absheer is a Production Technician at SERVPRO of Marshall, Sedalia and Columbia. He joined our team in September 2018. Chris Bates is a Production Technician at SERVPRO of Marshall, Sedalia and Columbia. He has over 4 years of experience and has the following certification from the Institute of Inspection Cleaning and Restoration Certification (IICRC): Water Restoration Technician and Applied Structural Drying Technician. In addition, he is certified in Employee Certification Training Program for Crew Training and Water. 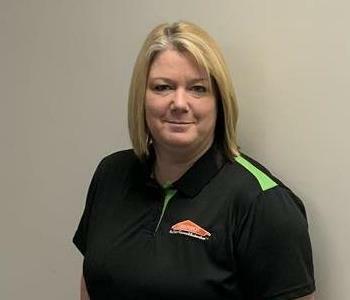 Vickie Berryman is a Crew Chief at SERVPRO of Marshall, Sedalia and Columbia. She has over 12 years of experience with our company and is certified in Employee Certification Training Program for Crew Training. 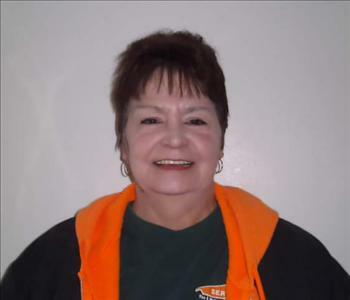 Judy Dunlap is a Production Technician at SERVPRO of Marshall, Sedalia and Columbia. She joined our team in January 2019 and has the following certification for from the Institute of Inspection Cleaning and Restoration Certification (IICRC): Water Restoration Technician. Ron Fain is a Production Manager at SERVPRO of Marshall, Sedalia, & Columbia. He has 31 years of experience and has the following certifications from the Institute of Inspection Cleaning and Restoration Certification (IICRC): Water Restoration Technician, Fire & Smoke Restoration, Carpet Cleaning, Journeyman Textile Cleaner, Carpet Repair & Reinstallation, Upholstery & Fabric Cleaning, Journeyman Water Restorer, and Mold. In addition, he has a certification through Environmental Protection Agency (EPA) for Renovation, Repair, & Painting (RRP) Program for Lead Paint and through Interactive Occupational Training for Certified Mold Technician Level II Professional. Ron is also certified in Employee Certification Training Program for Crew Training and OSHA 10 Hazard Recognition for the General Industry. Scott Herron is a Production Technician at SERVPRO of Marshall. 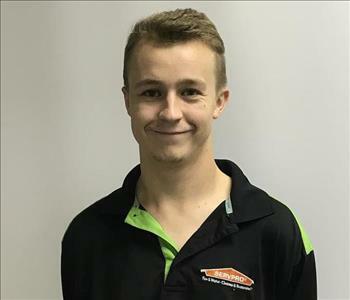 He joined our team in August 2018 and has the following certification from the Institute of Inspection Cleaning and Restoration Certification (IICRC): Water Restoration Technician and Applied Structural Drying Technician. Daniel Hood is a Production Technician at SERVPRO of Marshall, Sedalia and Columbia. He joined our team in January 2019. He has over a year of experience in the restoration industry and has the following certification for from the Institute of Inspection Cleaning and Restoration Certification (IICRC): Water Restoration Technician. Larry Moore is a Production Technician at SERVPRO of Marshall, Sedalia, and Columbia. He has over 15 years of experience. Larry is known in our office for his attention to detail and strong work ethic. 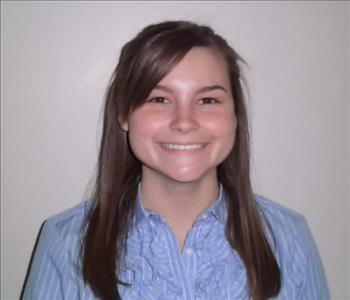 Kimberly Rennison is a Production Technician at SERVPRO of Marshall, Sedalia, & Columbia. She has over 3 years of experience with our company and is certified in Employee Certification Training Program for Crew Training. 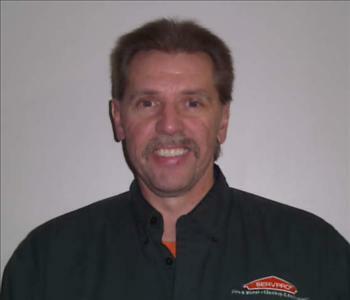 Jim Schroeder is a Production Technician at SERVPRO of Marshall, Sedalia and Columbia. He has over 3 years of experience with our company. 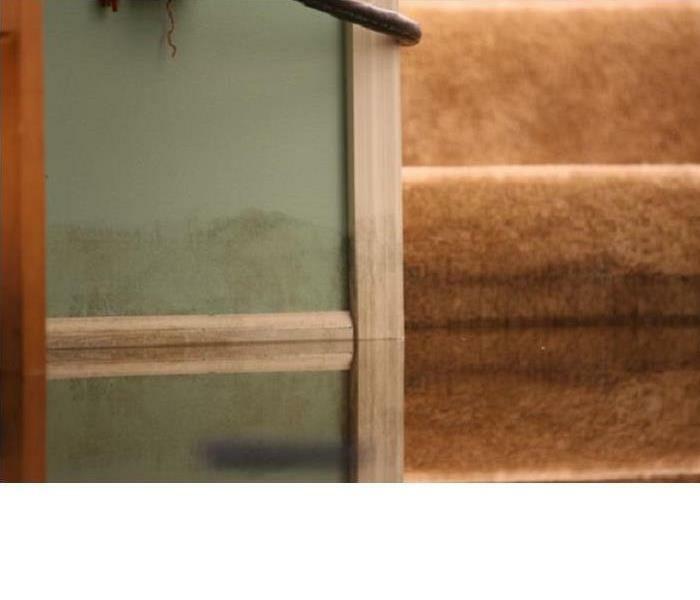 He is trained in property restoration damage in residential and commercial buildings. 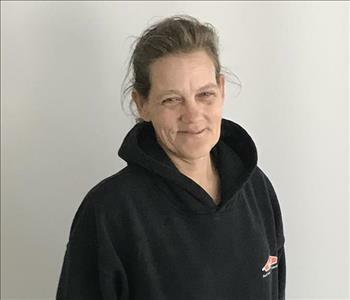 Lynnette Scott is a Production Technician at SERVPRO of Marshall, Sedalia and Columbia. She has over one year of experience with our team. Tylor Smith is a Production Technician at SERVPRO of Marshall, Sedalia and Columbia. He has over year of experience and has the following certification from the Institute of Inspection Cleaning and Restoration Certification (IICRC): Water Restoration Technician.